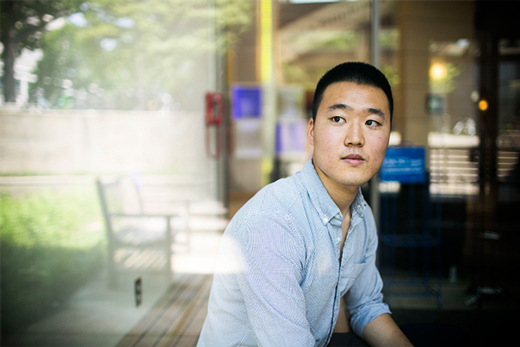 In May of 2016 senior Takuya Maeda will graduate with highest honors in history. Maeda was recently profiled for his research accomplishments at Emory, most especially his work on the use of funds from the Civil Liberties Act of 1988 “set aside for the Japanese-American community to develop educational efforts and awareness about internment” during World War II. Maeda received a grant from the Scholarly Inquiry and Research at Emory (SIRE) program to conduct this research, which his mentor Professor Daniel LaChance described as “groundbreaking.” Maeda plans to continue and expand this project through graduate work in history. Read the full profile on Takuya here. On April 21 President Jimmy Cater was on Emory’s campus to speak to students in a session titled “Why Archives Matter: Memory, Meaning and History.” Included in the event where students from Dr. Joseph Crespino’s spring undergraduate course on the history of politics and race in the United States. Aside from a lively question and answer period with the attendees, the event served to highlight recent renovations at the Stuart A. Rose Manuscript, Archives and Rare Book Library. Read more about the event on the Emory News Center’s site here. “Opera and the French Revolution” debuts on April 29 and May 1 in Washington and New York. Emory University French historian Judith A. Miller has enjoyed consulting on the production. The Opera Lafayette will perform the modern world premiere of scenes from Martini’s and Pipelet’s Sapho (1794), as well as Cherubini’s Médée (1797) and Sacchini’s Oedipe à Colonne. Performances will take place in DC (Lisner Auditorium, GWU) on Fri., April 29, 7:30pm; and in NYC (Jazz at Lincoln Center, Rose Hall) on Sun., May 1, 8pm. More info and ticket links are on the company’s website. Emory discounts are available for the DC performance, Code EMORY. Along with workshops in March in NYC, Professor Miller has contributed to the blog on the production. An hour before each performance, there will be a panel discussion featuring Ryan Brown, with stage director Miřenka Čechová and Judith A. Miller. Dr. Elizabeth Bouldin, Assistant Professor of History at Florida Gulf Coast University and an alumna of the history graduate program, recently published Women Prophets and Radical Protestantism in the British Atlantic World, 1640-1730 with Cambridge University Press. Check out a summary below and the page for the book on Cambridge UP’s website here. This book examines the stories of radical Protestant women who prophesied between the British Civil Wars and the Great Awakening. It explores how women prophets shaped religious and civic communities in the British Atlantic world by invoking claims of chosenness. 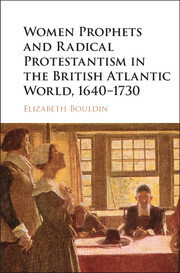 Elizabeth Bouldin interweaves detailed individual studies with analysis that summarizes trends and patterns among women prophets from a variety of backgrounds throughout the British Isles, colonial North America, and continental Europe. Highlighting the ecumenical goals of many early modern dissenters, Women Prophets and Radical Protestantism in the British Atlantic World, 1640–1730 places female prophecy in the context of major political, cultural, and religious transformations of the period. These include transatlantic migration, debates over toleration, the formation of Atlantic religious networks, and the rise of the public sphere. This wide-ranging volume will appeal to all those interested in European and British Atlantic history and the history of women and religion. In the wake of an historic impeachment vote in Brazil’s congress on Sunday, Professor Jeffrey Lesser offered historically-informed commentary for a Canadian Broadcasting Corporation article, “Brazil President Dilma Rousseff impeachment crisis: What happens next?” Lesser is a specialist in Brazilian history and currently Research Professor at the Institute for Advanced Studies at the University of São Paulo. Check out an excerpt below and the full piece here. It could be about 40 days before that Senate vote is cast. But timing is very difficult to predict, says Jeffrey Lesser a professor of Brazilian history at Emory University and currently research professor at University of São Paulo, Rousseff has challenged every step of this process. She had asked the country’s Supreme Federal Tribunal, Brazil’s highest court, to suspend the proceedings, but lost that decision. But she could go to the court again, on the grounds that the accusations are faulty. The panel of judges for the 2016 Woodruff Library Undergraduate Research Award recognized the outstanding scholarship of three History Department majors. Samantha Keng and Zixuan (Armstrong) Li each received $500 prizes for undergraduate research papers. Keng’s paper, sponsored by Professor Carol Anderson, is titled “Model Minority Awakenings: Vincent Chin, Asian America’s Emmett Till.” Li’s work, titled “Doner Kebab: Symbol of German Multiculturalism in the Turkish Immigration Question,” was supported by Dr. Astrid Eckert. A third History Department major, Emily Moore received an Honorable Mention. Titled “‘A Casket Full of Precious Memoirs’: The Town of Washington’s Conception of Its Own History,” Moore was sponsored by Dr. Leslie Harris. Congratulations to these students and their advisers on outstanding work. 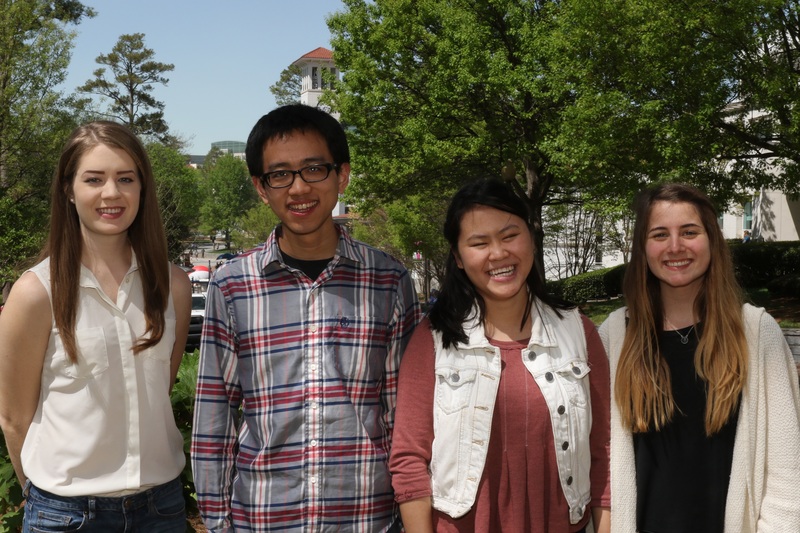 Descriptions of each piece can be found in the Emory Undergraduate Research Journal (EURJ) from pages 66-69. 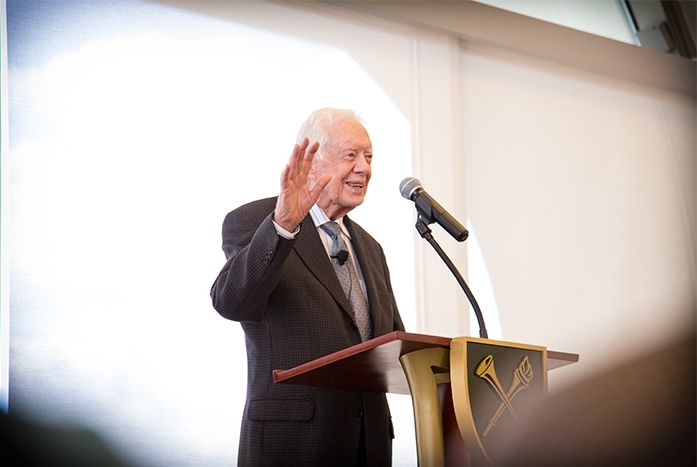 Also see the news release on the Woodruff library’s Scholar Blog. 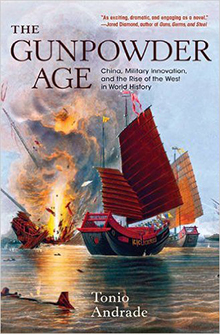 The Emory News Center recently published a profile of Dr. Tonio Andrade and his newest work, The Gunpowder Age: China, Military Intervention, and the Rise of the West in World History. The piece, titled “Emory historian tackles China’s military history with ‘The Gunpowder Age,'” is available in full here. Check out an excerpt below. Over the past year, China has built artificial islands — with their own airstrips and military facilities — as part of its claim to land in the international trade routes in the seas east and south of the country. The territorial claims escalated this year when U.S. and Taiwan officials said China had put surface-to-air missiles on one of the disputed islands in the South China Sea. Is this a new threat from a nation that historians have argued remained a military afterthought in part because of the codes of Confucianism? Not according to Emory historian Tonio Andrade who shows in his new book, “The Gunpowder Age,” that the idea that China has historically been a peaceful nation, little interested in military matters, is not true.